One of the projects I’ve been considering for a while is trying my hand at building some crystal radio receivers. Crystal radios are pretty simple and traditionally use a germanium diode as the detector element because of its low forward voltage drop. 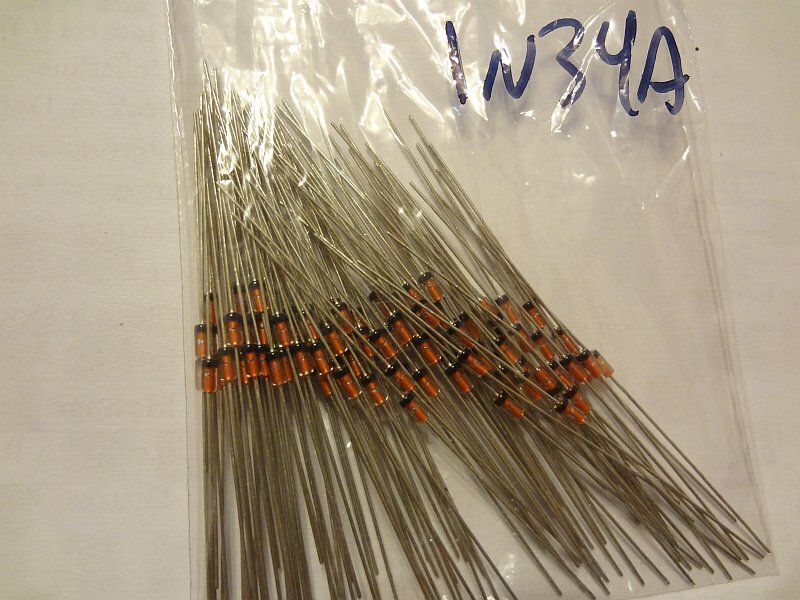 Found several people selling 1N34A germanium diodes on eBay and ordered a batch of 100 a couple of weeks ago. They arrived in the mail yesterday, and today I got around to checking them out. The diodes themselves are unlabeled so there’s really no way to tell what they are by looking at them. 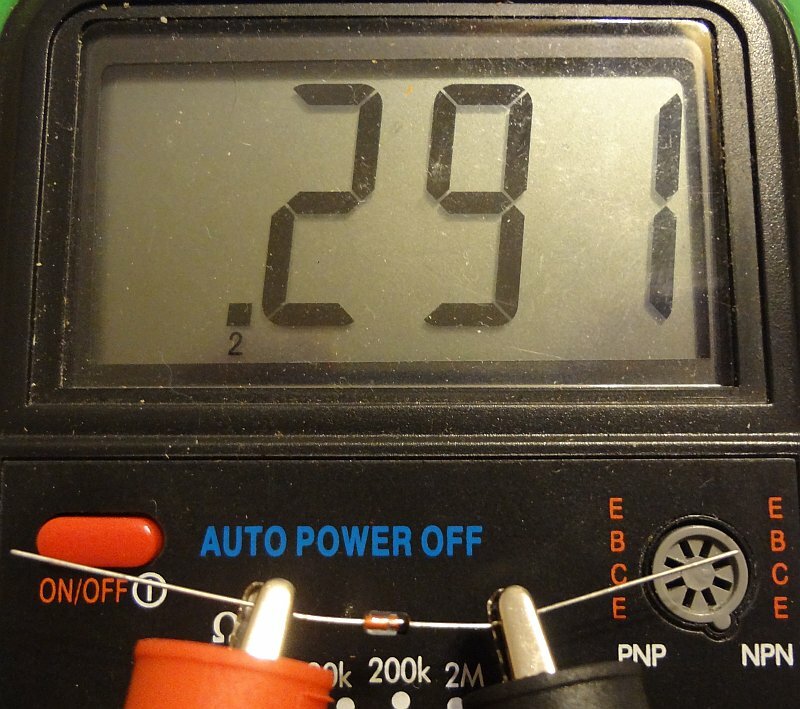 The forward voltage (Vf) drop of 1N34A diodes is supposed to be around 0.25V. According to my DMM, a random sampling of the ones I got showed a Vf of 0.29-0.30V. I figure that’s pretty close. 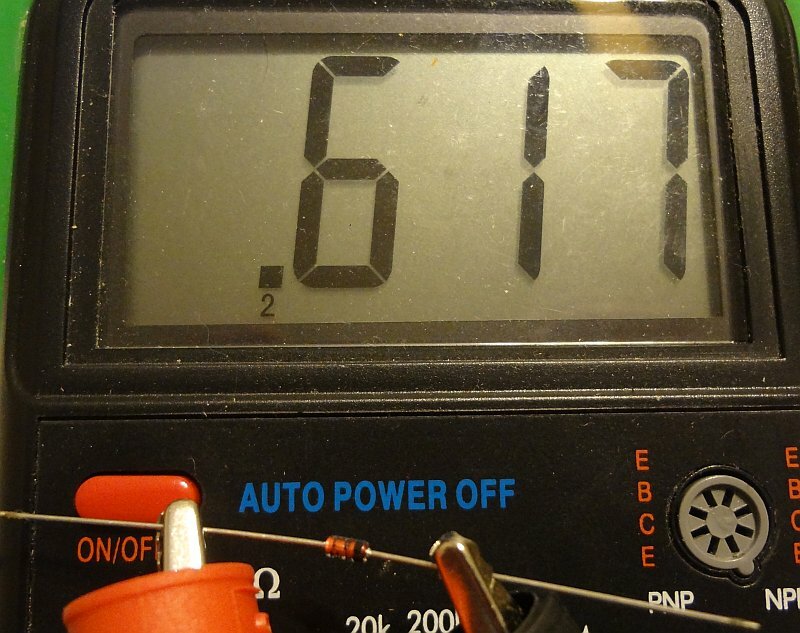 For comparison, the Vf of some random 1N4148 silicon diodes was around 0.6V. Now to do some homework and see how to go about building a crystal radio receiver.